In the spring Russia will start constructing the Severniy [Northern – Ed.] port in the Far Eastern Primorye region. Local authorities say it will be able to handle 20 million tons of coal a year aimed at increasing supplies to the Asia-Pacific region. At least 1,400 people are expected to be involved in construction, according to the region’s department of industry and transport. The project will involve the building of over 50 kilometers of railroad track, 11 bridges and overpasses, and four berths with a length of more than 900 meters. The design work is currently being carried out along with the approval of documentation by relevant agencies. The first coal should be shipped in three years time, with throughput starting at about 6 million tons, and reaching full capacity by 2025. The port will be eco-friendly as the coal trucks will be unloaded indoors and the terminals will have added dust control technology, said Andrei Zagorski, the construction project manager. The port is going to cost the federal budget around $340 million (23.2 billion rubles), a further $190 million (13 billion rubles) will be provided by private investors, including Russian engineering group Summa and the China Bank of Development. Authorities expect the new port to be a magnet for economic development in the Primorye region due to the improved logistics. The construction of another major coal port is about to start in the Bay of Suhodol in Primorye at a cost of $265 million (18 billion rubles). All the necessary design work has been completed, and the beginning of construction is also scheduled for 2015. 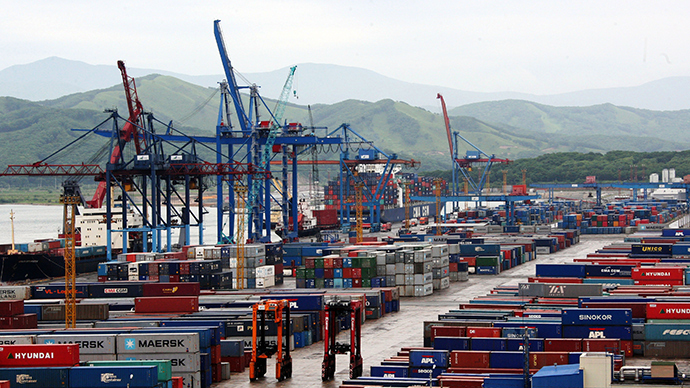 This port would also supply about 20 million tons of coal to the Asia-Pacific region annually. The input of these corridors would significantly increase international transit from China, Japan, Mongolia, Australia, North America and many others countries through Russia.